Below you fill find all funeral homes and cemeteries in or near Ozark. 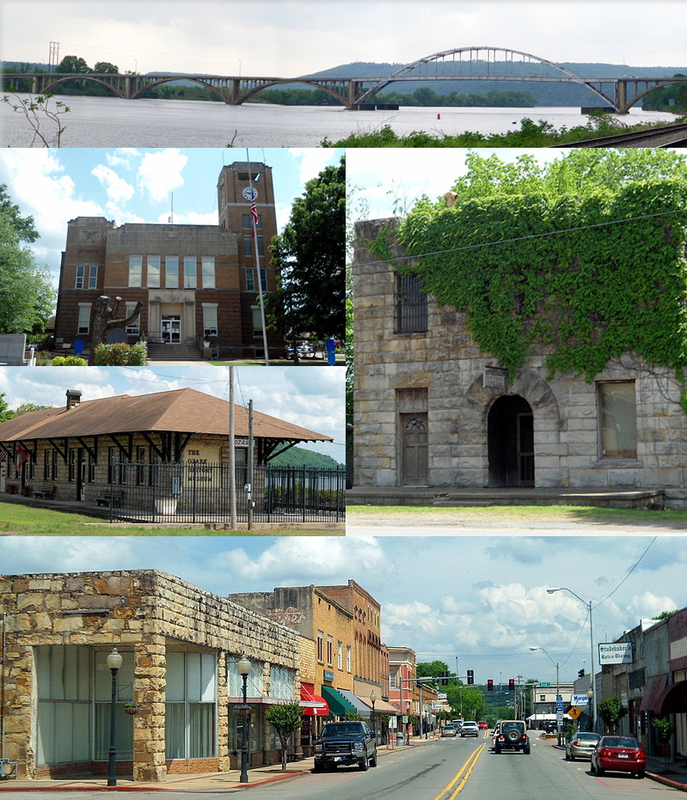 Ozark is also known as: South Ozark, South Ozark, Arkansas, and Franklin County / Ozark city. Zip codes in the city: 72949. Some of the notable people born here have been: Stephanie Dill (firefighter), and Elizabeth Gracen (actor and film producer). 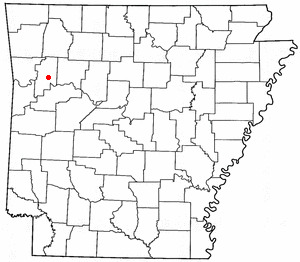 Ozark is a city in Franklin County, Arkansas; and one of the county's two seats of government. The community is located along the Arkansas River in the Arkansas River Valley on the southern edge of the Ozark Mountains. Incorporated in 1850, Ozark is adjacent to much of Arkansas wine country, and contains a bridge to cross the Arkansas River for travelers heading to points south. The city is also located on Arkansas Highway 23, nicknamed the Pig Trail Scenic Byway, known for its steep drops, sharp curves and scenic mountain views. The city is contained within the Fort Smith metropolitan area.The name "Aux Arc", later simplified to Ozark, was given to this bend of the river by the French explorers when they were mapping out this land. It was noted by South West Times Record on January 18th, 2019 that Gelene Carpenter passed on in Ozark, Arkansas. Carpenter was 90 years old. Send flowers to express your sympathy and honor Gelene's life. It was disclosed by South West Times Record on January 17th, 2019 that Lonnie J Curtis passed away in Ozark, Arkansas. Curtis was 79 years old. Send flowers to share your condolences and honor Lonnie J's life. It was noted by South West Times Record on January 4th, 2019 that Mary Helen miss Hudson passed on in Ozark, Arkansas. Hudson was 56 years old. Send flowers to express your sorrow and honor Mary Helen miss's life. It was revealed by The Commercial Appeal on November 3rd, 2018 that Vivian Pauline Wall (Randolph) died in Memphis, Tennessee. Ms. Wall was 94 years old and was born in Ozark, AR. Send flowers to express your sympathy and honor Vivian Pauline's life. It was written by South West Times Record on May 3rd, 2018 that Gerry D Basham died in Ozark, Arkansas. Basham was 81 years old and was born in Goldthwaite, TX. Send flowers to express your sympathy and honor Gerry D's life. It was disclosed by South West Times Record on April 29th, 2018 that Zong L Xiong perished in Ozark, Arkansas. Xiong was 85 years old. Send flowers to share your condolences and honor Zong L's life. It was written by South West Times Record on April 27th, 2018 that Ray Needham perished in Ozark, Arkansas. Needham was 75 years old. Send flowers to share your condolences and honor Ray's life. It was noted by South West Times Record on April 26th, 2018 that Clint Marvin Herzog passed away in Ozark, Arkansas. Herzog was 57 years old and was born in Saginaw, MI. Send flowers to express your sympathy and honor Clint Marvin's life. It was revealed by South West Times Record on April 12th, 2018 that Virginia L Canady died in Ozark, Arkansas. Canady was 92 years old. Send flowers to express your sorrow and honor Virginia L's life. It was revealed on April 10th, 2018 that Ritakay Marie Sparks (Hutchison) perished in Nashville, Tennessee. Ms. Sparks was 62 years old and was born in Ozark, AR. Send flowers to share your condolences and honor Ritakay Marie's life. Ozark is a city in Franklin County, Arkansas County, Arkansas, United States, and (along with Charleston, Arkansas one of the two county seats of Franklin County. It is named for the Ozarks, the mountain range in which it is situated. The population was 3,525 at the United States Census, 2000 census, making Ozark the ninth largest municipality in the metro area. It is part of the Fort Smith, Arkansas-Oklahoma Fort Smith metropolitan area Statistical Area. . The official website for the city of Ozark is http://www.cityofozarkar.com/. Listing all funeral homes in Ozark, Arkansas so you can easily send flowers to any location (same day delivery) or find any funeral service. We work with local florists and flower shops to offer same day delivery. You will find budget sympathy flowers in Ozark here. Our funeral flowers are cheap in price but not in value.